About Our Staff - Advance Therapeutics, Inc.
Bob is co-owner of Advance Therapeutics. He graduated from Marquette University in 1972 and worked in the rehabilitation field for the first fifteen years of his career. He was introduced to osteopathic manual techniques in 1987, and has been striving to further his concepts and skills ever since. Bob has studied extensively the work of Jean-Pierre Barral, John Upledger, Alain Croibier, and Fred Mitchell. He finds great joy in providing manual treatment, "working WITH the body, not ON the body", to help his patients regain pain-free, fluid, and efficient movement and function. All treatment, combined with therapeutic exercise and movement retraining, is aimed toward achievement of balanced, comfortable, efficient posture, as this is the starting point for all movement, exercise and function. Laurel is a graduate of American International College in Springfield, MA. She has studied visceral and neural manipulation techniques with the Barral Institute and is eager to continue on this path. Utilizing manual treatment techniques and movement education she possesses a passion for patients with concussion, neurological and sports injuries as well as pediatrics, women's health and adult fall prevention. Her interest in post-concussion treatment and sports medicine comes from researching and playing rugby. Lindsey is a graduate of American International College in Springfield, MA. 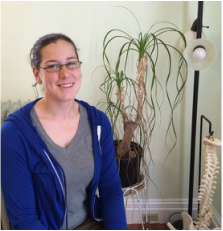 She has a background in massage therapy and comes to our practice with well trained hands. She is training in Neural and Visceral Manipulation and is committed to caring for her clients in a comprehensive fashion. Shannon has been working as a Licensed Physical Therapist Assistant since 1992. All but four of those years have been with Advance Therapeutics, Inc. She believes in the value of integrating systems of the body and has attended over 30 continuing education seminars for advancing her manual treatment skills. These include, but are not limited to, specialized study with the Barral Institute (visceral and neural manipulation), Upledger Institute (craniosacral therapy), Gray Institute (functional application), Women's Health with Elizabeth Noble and pelvic rehabilitation with Herman & Wallace. She maintains a personal Yoga practice and loves to bring this knowledge to her practice. Additionally, she is a Certified Birth Doula and Licensed Massage Therapist. 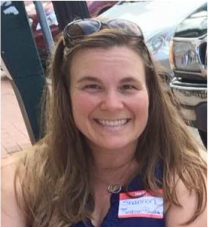 Shannon grew up in the hilltowns west of Northampton and continues to live there with her husband and two dogs. She has two sons that have been launched into adulthood. Shannon has been an avid softball player for 30 years, loves hiking, skiing (downhill and cross-country), knitting and learning new skills. Annette has been with Advance Therapeutics, Inc. since 1998. She is our primary billing personnel and front desk adjunct when the space needs filling. She is here to assist you when you have any questions regarding your bill or health insurance reimbursement. She patiently deals with the laborious chore of navigating the insurance system and keeps us up to date on new changes in the insurance industry. When Annette is not at Advance Therapeutics, Inc. you will find her outside gardening. Michelle is a Certified Medical Biller/ Coder working in billing and administration for Advance Therapeutics, Inc. since 2009. She is one of the incredibly helpful, upbeat and positive voices you’ll hear when calling for an appointment or billing and insurance questions concerning all of your physical therapy sessions. Michelle goes above and beyond to make sure your visits to Advance Therapeutics are not only pleasant and efficient but will help to make your scheduling and insurance concerns less painful. She assists in anyway she can to make your full experience an enjoyable one right from the initial call through to your discharge from your physical therapy program. She prides herself on giving each and every client the best and most personalized attention, which is proven, by the continuous stream of personal referrals sent by past clients back to our office. Dedicated but not chained to her desk, Michelle spends all of her spare time doing outside activities including but not limited to running 5K road races for charities, biking, hiking and all winter sports. You may even spot her behind her camera catching the brilliant sunset or bight colorful autumn day.